So You Think You Have Property Rights in This Country? You do have property rights ... right up to the point where someone with political pull wants to change the use of your property. In Tempe, AZ, an intersection has been empty for a number of years after a gas station went out of business. A local entrepreneur acquired rights to the land to build a car wash. The city approved all his various permits and he was just starting to build when a powerful local developer who owned a strip mall next door decided he did not want a car wash next door to his businesses, and sought to rally the local community against the car wash with fears of traffic and poisonous chemicals. The result? 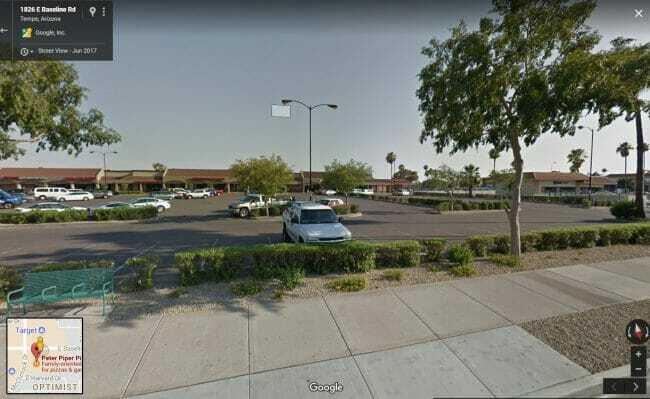 After nearly three hours of debate, the Tempe City Council revoked permits for a Quick Quack Car Wash planned at Baseline Road and McClintock Drive. The Council Chamber was standing-room only Thursday as more than 40 residents spoke. Opponents were in the majority by a 3-to-1 margin. The residents' concerns largely revolved around noise and traffic. Those residents in favor of the development said a car wash was an upgrade from the old gas station that use to be at the corner. Michael Pollack, who owns the nearby Peter Piper Pizza Plaza along with other commercial properties in the East Valley, hired an attorney to appeal the city's Design Review Board decision to grant permits for the car wash.
"I have nothing against ducks," Pollack told the council. "I would love to see something that harmonizes with that area." Like residents, Pollack was concerned about noise and how a car wash would impact property values — points that representatives from Quick Quack said were unfounded. Of course they are being generous here to the real influencer, pretending that Pollack was merely one more person in the community with concerns rather than the person who likely organized much of the opposition. Admit it, what is worrying you is right and justice; what is worrying you is ownership – not yours, of course, but that of others. You find it difficult to accept that others are free to dispose of their property (the only way to be an owner); you want to dispose of your property . . . and theirs.